In Canada for example, the province of Alberta is enhancing employee safety and well-being with the introduction of Bill 30, requiring many workplaces to establish and cultivate health and safety committees and appoint representatives at their various worksites. Yes, companies today are leaning into health in a big way! Some organizations are even creating C-Suite positions specifically for wellness coordinators. Jobs like “Chief Wellness Officer” and “Chief Happiness Officer” are opening up across the globe to foster the health and happiness of employees and enhance employee attraction and retention. Certified Workplace Wellness Ambassadors are “leading the way”! Our Workplace Wellness Centre of Excellence mission is to create a global landscape for inclusive, employee-led, workplace wellness programs. Programs that design and deliver responsive solutions for fostering healthy work cultures at every level of an organization. To fill this need, our Workplace Wellness Centre of Excellence (WWCOE) trains, coaches and certifies corporate wellness Ambassadors for internal employment and contracting roles and opportunities. 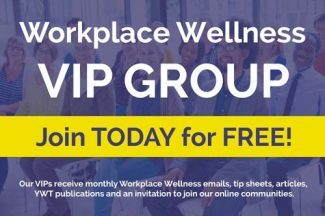 Our Certified Workplace Wellness Ambassadors and Master Ambassadors are trained and qualified to meet the varied wellness needs of organizations, regardless of their size. Ambassadors first meet with employers and their employees to understand their work culture and evaluate their challenges and growth opportunities. Then, through a partnered approach, Ambassadors help design employer and employee-centric programs to meet each organization’s unique goals and growth objectives. Our Master-level Ambassadors become highly skilled in all elements of corporate wellness development and delivery, from conducting organizational and employee wellness assessments to establishing and leading wellness committees. They also receive advanced training and resources for planning, hosting, and evaluating Lunch and Learns, and designing/facilitating month-long wellness campaigns, retreats and more. 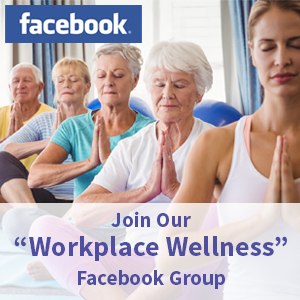 “Who” Are Our Workplace Wellness Ambassadors? 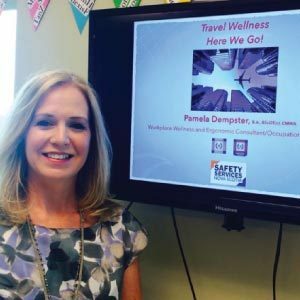 Our Workplace Wellness Ambassadors and Master Ambassadors come from a variety of backgrounds including health coaching, corporate wellness, office administration and supervisory roles to nursing and occupational health and safety specialities. Regardless of their work background, skills, or experience however, WWCOE Ambassadors receive in-depth, on-going training at every program level. They cultivate incredibly diverse and rewarding careers and there are as many roles available for Workplace Wellness Ambassadors as there are businesses who need them! “What” Do Our Workplace Wellness Leadership Certification Programs Offer? As introduced above, participants of our online/ instructor-led certification programs, are trained in workplace wellness program assessment, design, delivery, and leadership fundamentals. Throughout and upon completion of Level 1, Ambassadors acquire comprehensive toolkits and databases containing dozens of implementable Lunch and Learns, along with a Wellness Champion and a Wellness Buddies employee training program. Master Ambassador trainees in Level 2 develop advanced program design and facilitation skills through a group campaign project (examples illustrated below). 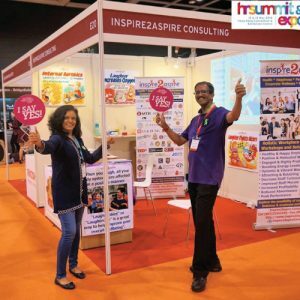 They also receive implementable Wellness campaigns from a project campaign database along with marketing training support and toolkits containing brandable promotional resources to set them up for success. The Level 2 group project campaigns are multi-dimensional in scope and include implementable resources including a kick-off event, independent and group activities, and a themed Lunch and Learn. To date, examples of group projects contained in the Master Campaign Database include: Healthy Habits for Busy Professionals, Take Your Health to New Heights, Healthy Meals on the Go, Financial Well-being, Digital Detox, Living the Moment, Mindfulness, and Project Warm-Up for Seniors just to name a few. All Ambassador toolkits are co-created with and vetted by industry experts and program graduates for quality assurance and relevancy to today’s organizational/ personal wellness development needs. Many of the toolkit resources provided in the Level 1 and 2 programs are fully brandable and customizable to support and serve the unique and varied needs of individual organizations and employees. Once certified, our Ambassadors have the training and skills to create (or co-create with other Ambassadors) their own wellness programs to meet employer specific needs. Examples of employee wellness programs created by our graduates include: Family Wellness Campaign; “How Many Steps” Challenge; mystery workout sessions; cycling and walking events, Spring Cleaning and a Healthy Holiday Challenge to name a few. Additionally, WWCOE program graduates form partnership arrangements with fellow Ambassadors, blending their skills and talents to offer multi-dimensional programs that support the diverse organizational/employee wellness needs of today’s emerging markets. Ambassadors also use community events to support employee and community well-being through initiatives such as MS Big Bike Ride (i.e. Number Ten employees shown below), Breast Cancer Awareness campaigns, and United Way Plane Pulls to name a few. To support family well-being, Ambassadors also create family-focused programs. 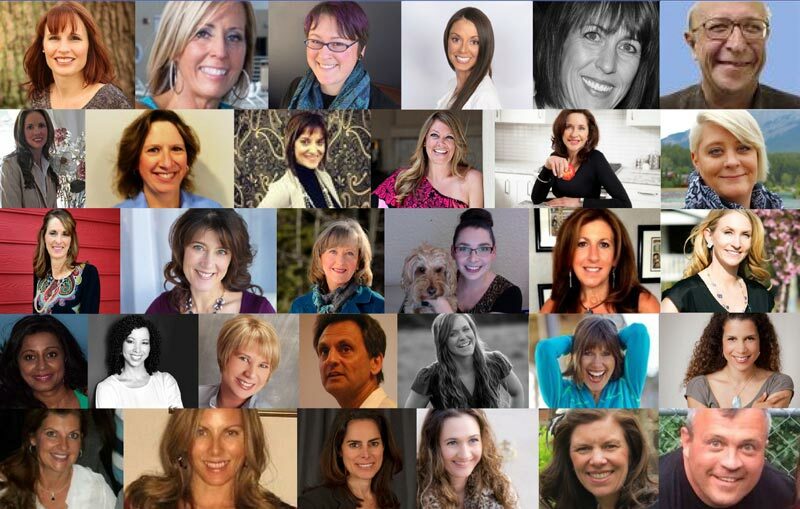 “How” Are Our Workplace Wellness Ambassadors Trained? Unlike other online certification programs delivered solely via independent study modules and online exams, our virtual programs are experiential-based, with applied, skill-building activities through an instructor-led, highly interactive web-based environment. All Ambassador trainees start and complete their program training at the same time through group-based programs, and to date, we are proud to have close to a 100% certification success rate! Industry experts and graduates are also involved in facilitating program training via live webinars, interactive web-based training modules and group discussions through the Ruzuku e-learning platform, focus group sessions and post-program via the Ambassador online community and ongoing professional development offerings. Ambassadors develop a proficiency in online program delivery to facilitate engagement with an organization’s international or remote employees. 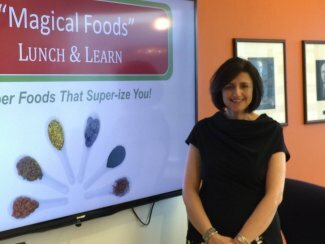 Interactive and applied online program delivery has proven to be such a successful method of training for our programs and its Ambassadors that our “Focus on Healthy Eating” Facilitator Certification Program was co-developed virtually by 25 Master Ambassadors with health coaching backgrounds. Our program methodology has even been endorsed by industry experts as the emerging “gold standard” for workplace wellness certification training. WWCOE Ambassadors feel confident in their knowledge and the training they receive as they have the opportunity to ask questions, gain support, and get practical, applicable education from program facilitators, industry guest presenters, and fellow participants both during and post-program. 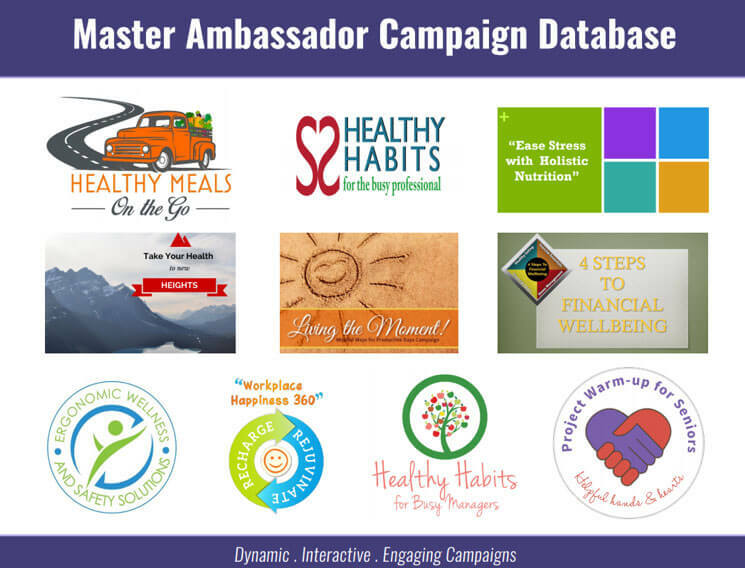 Upon completion of Level 2, Master Ambassadors gain access to our program databases of wellness campaigns and Lunch and Learns (co-created by Master Ambassador trainees via group certification projects) and Marketing Toolkits. Master Ambassadors also receive coaching and marketing support via Mastermind sessions and other WWCOE professional development offerings, to successfully market and position themselves for corporate wellness employment or contracts. Our Workplace Wellness Leadership Certification Series provides dynamic training opportunities for Master Ambassadors wishing to specialize and advance themselves as corporate wellness professionals. In Spring 2019, our Centre will be launching an Executive Wellness Leadership Program (EWLP) for executives and senior level management along with an associated Executive Wellness Leadership Internship Program for our Master Ambassadors. Through the EWLP Internship, qualifying Master Ambassadors will be involved in training and coaching executives and senior leaders throughout a six-week EWLP program, earning dual certifications as an “Executive Wellness Coach” and “Executive Wellness Leadership Program” Facilitator. At the root of our Ambassador Core Values is EMPOWERMENT! Organizations who employ or contract the services of a WWCOE Ambassador get to work with the “best of the best” in the industry. Simply put, WWCOE Ambassadors are facilitators of excellence in all they do! They give the very best of themselves to those they serve and support to help optimize personal/organizational well-being and create thriving, high-performing work cultures that support organizational growth and achievement. Hire or Contract a Certified Master Workplace Wellness Ambassador Today! To learn more about hiring or training one of our program graduates for your organization*, email us at info@workplacewellnesscoe.com and/or explore our suite of corporate programs and bundled training solutions at www.workplacewellnesscoe.com.